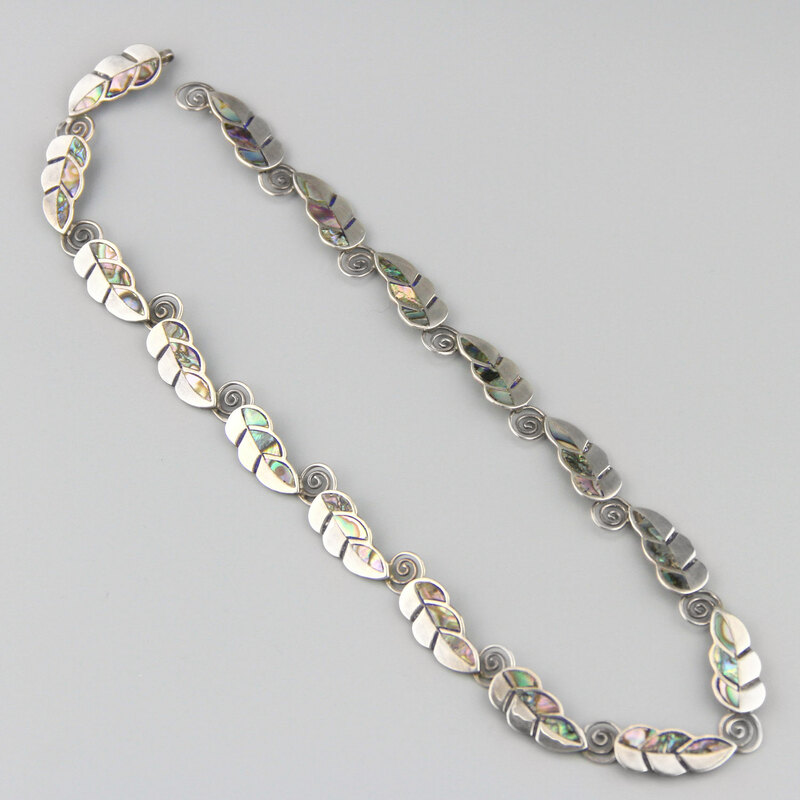 Very beautifully designed leaf link vintage bracelet. 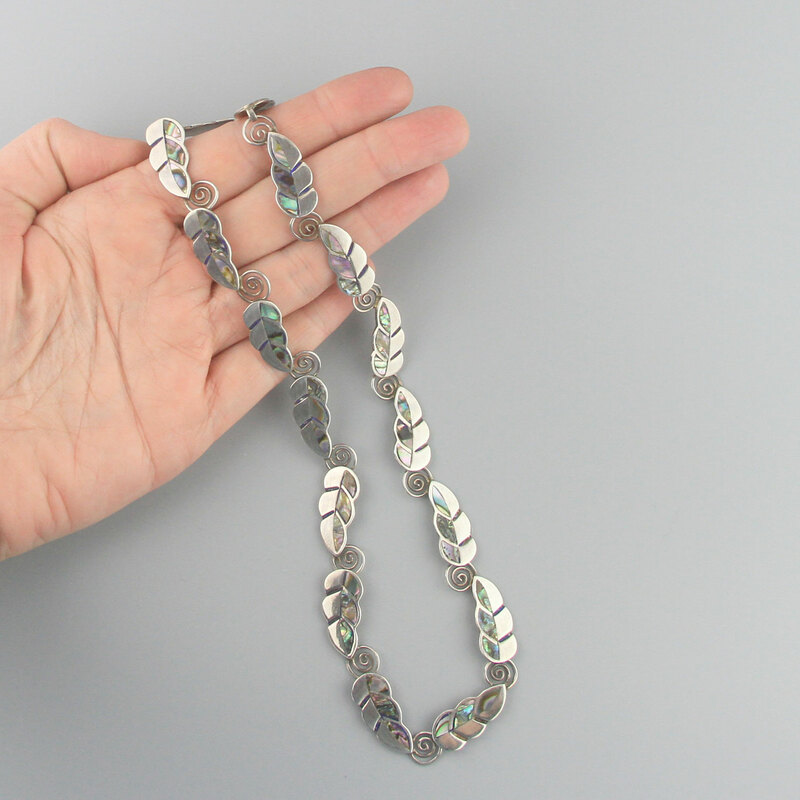 Made in Taxco, Mexico c 1950's this bracelet by Arriaca is beautifully designed and executed with skill. 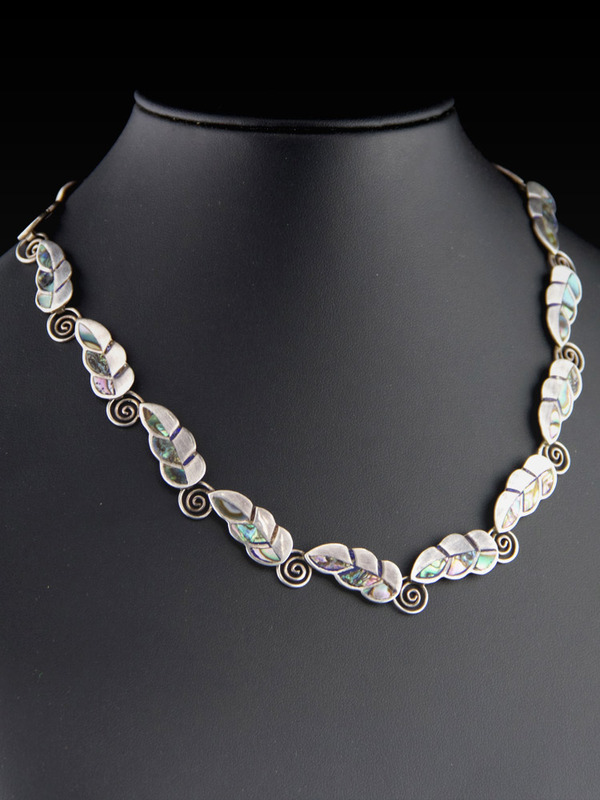 Lovely shapes, all in perfect proportion with amazing coil links between each leaf. 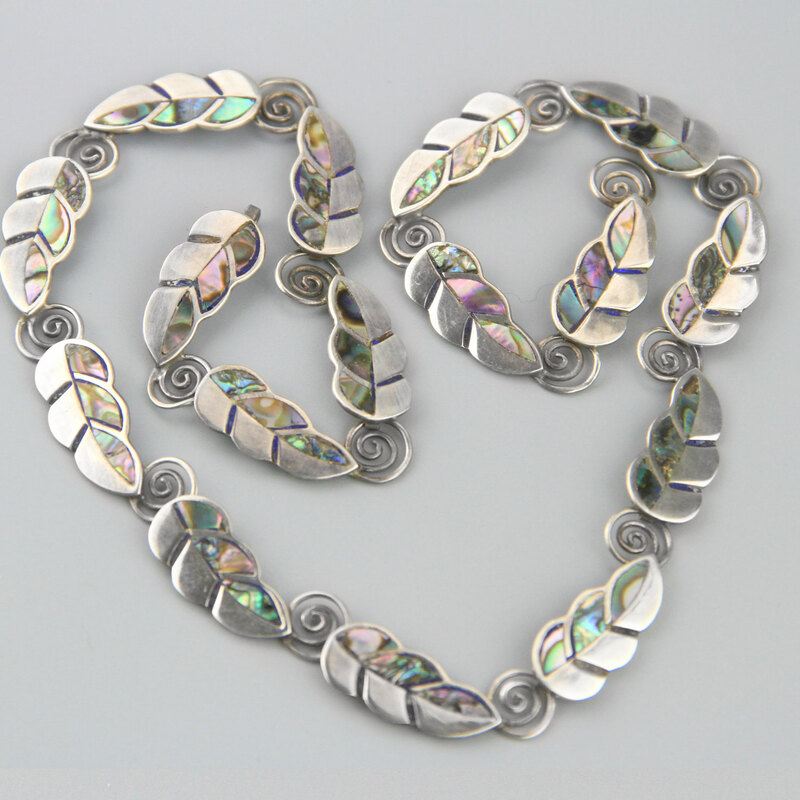 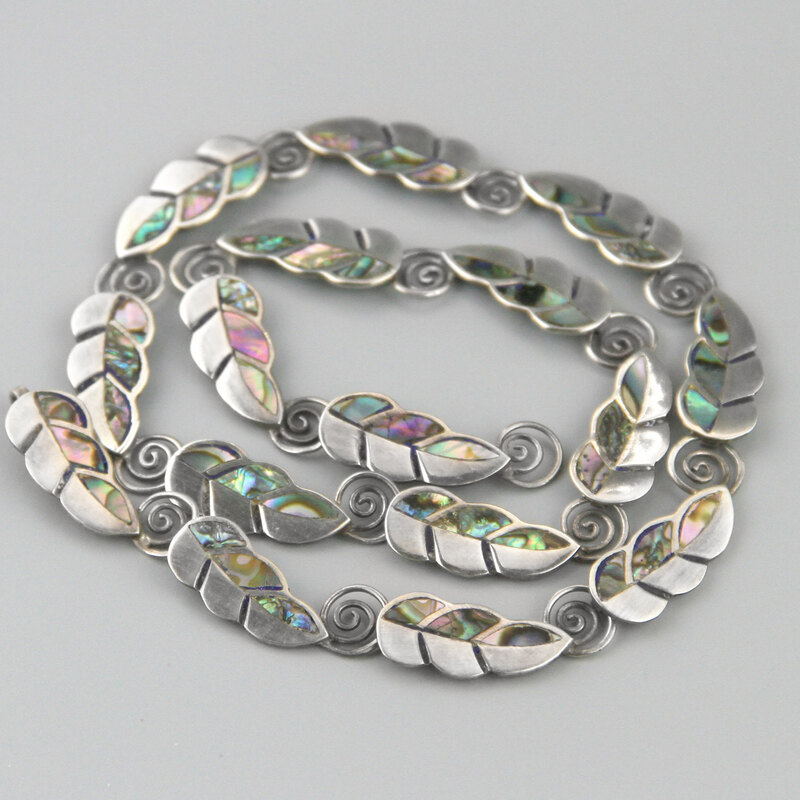 The leaves are sterling on one side and a pretty pink and green abalone inlay on the other, clasps with a hidden j clasp - very nicely made piece. 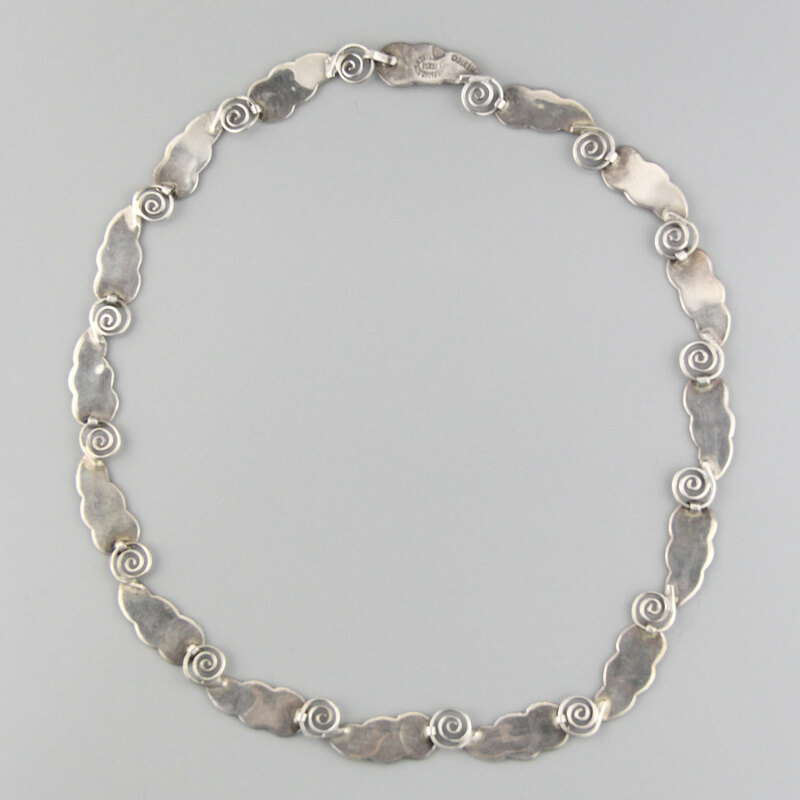 This is a fine and elegant necklace - very nicely made - lovely piece of mid century Mexican silver.